By replicating snapshots of virtual machines and files to Cloud DVX, customers are ensuring their data is safely stored offsite should there be a disaster within their own private datacenter. It’s a similar concept to the good old days of tape backups; backing up data to tape drives and sending them to a 3rd party to store offsite. Except of course with DVX, everything is done automatically for you and the recovery of your data can be almost instantaneous. 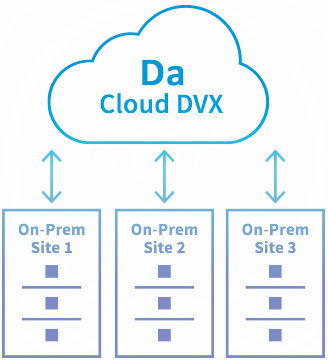 Once a Datrium customer purchases Cloud DVX (via a subscription), the customer connects their Cloud DVX instance into their on-premises DVX system. 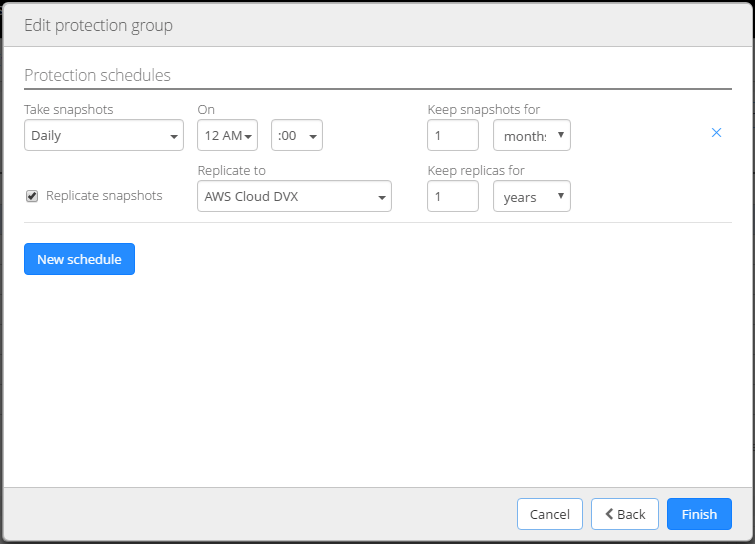 At this point, a Cloud DVX instance is automatically created and configured in AWS using the customers own AWS account. An enterprise-grade SSL VPN is automatically created and configured in order to provide secure connectivity between the on-premises DVX and Cloud DVX. Once the configuration is complete, the customer can begin replicating snapshots. No additional software or hardware needs to be installed. Lambda functions are used for the automation of the service. both for initial configuration and ongoing upgrades. They are also used for the end-to-end monitoring of the service. Prior to sending the backup data to Cloud DVX, on-premises DVX prepares fingerprints of the compressed backup data. Cloud DVX uses these fingerprints to determine what data has not been backed up already. On-premises systems send only the data that Cloud DVX has marked as new; old data is never sent twice. This means that Cloud DVX never stores the same data twice in the S3 object store, even when they are from different on-premises DVX systems. Cost savings from global deduplication multiplies as more on-premises systems are backed up to a Cloud DVX instance. Backup data retrieval from Cloud DVX works the same way in reverse. Prior to retrieving any backup data, the on-premises DVX is first queried for missing data; only the missing data is actually retrieved from Cloud DVX significantly reducing the cost of egress from AWS. Cloud DVX further reduces the amount of data transferred by allowing end-customers to recover not just virtual machines (versus LUNs or Datastores) but also individual virtual disks, datastore files (OVAs, ISOs), persistent container volumes and in-guest files (DVX Software v4.1). Customers can manage backup policies at the same object granularity. The metadata for these objects are persisted and indexed in a highly scalable search catalog. Users can quickly and easily search these catalogs for both on-premises and Cloud DVX systems from the same user interface. Once Cloud DVX and an on-premises DVX are configured, day-two operations are all performed through the single DVX interface. After the initial AWS account creation, access to the AWS Portal is not required thanks to Datrium’s hands-off deployment of Cloud DVX and seamless integration into the customers existing DVX environment. The Cloud DVX will simply appear as a ‘Replica Destination’ within the user interface, allowing DVX customers to customize their Protection Groups to include periodic replications to the public cloud, as shown in the image below. That was a quick high-level overview of Datrium Cloud DVX. In future posts, I’ll look to explain things in a little more detail. 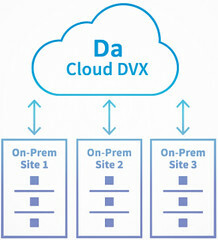 If you have any specific question about Cloud DVX, please feel free to contact me directly.